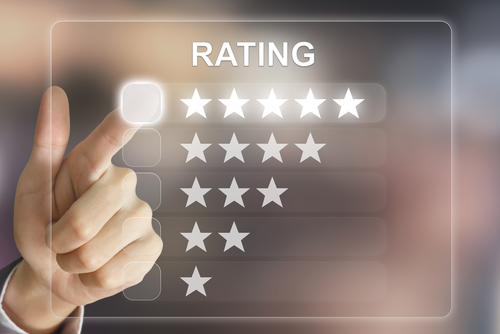 In most cases, less than 10% of consumers will actually leave a review. When trying to encourage reviews, convenience is key. Having a tablet where customers can review their experience as they are leaving is a strong strategy to getting more reviews. Social media, newsletters or other social pages can be used as outlets to invite consumers to share their positive experience. Some customers might be intimidated by the prospect of leaving a review. They can feel out of their element and not know what to say. In social media posts or on in-store provided tablets, you can offer them questions to get their thoughts in order. By framing sentences in a positive way will likely prompt positive feelings in a respondent such as “Did you feel you received good service today?”. Customers are more likely to leave a review if the experience was memorable. To ensure that you are getting more positive reviews you need to make sure that your customers have a remarkably positive experience. That might mean throwing in a freebie like a smoothing mask for their hair or to add a little extra pampering. A complimentary glass of champagne during a highlight would set you a part in many customers’ minds. Adding small touches that make your customer feel special are noteworthy and will inspire more customers to leave a review. SinglePlatform allows you to monitor your reviews as well as take control of your online presence. Learn more today.